The twenty-first century has raised new estate planning questions. One that I have only recently thought about is what will happen to my online presence if something happens to me. While people often think about their physical estates or belongings and make plans for what they want to happen to them when they die, it is easy to overlook your digital life and what will happen there. Who do I want to be in charge of my online presence and accounts? What do I want to happen to my various social media accounts, personal website, or email (or do I want my family to decide)? Since digital estate law is still in its infancy, many websites seem to be making things up as they realize they need procedures in place. This means that different companies have different policies about what they will do with an account, who they will talk to, and what they will allow after the account-holder has died. It may be possible to add a clause to your will regarding your online or digital affairs. Or you may want to leave instructions elsewhere for your family. Some people have a place where they keep a list of website login information. I change my passwords periodically and writing them down somewhere would not be my first choice for security reasons, as well as the hassle of remembering to update the list every time I made a change. Some people solve this problem by using a password vault or other service that stores passwords (such as KeyPass). They plan to leave the vault to a family member, who will then have access to their login information. 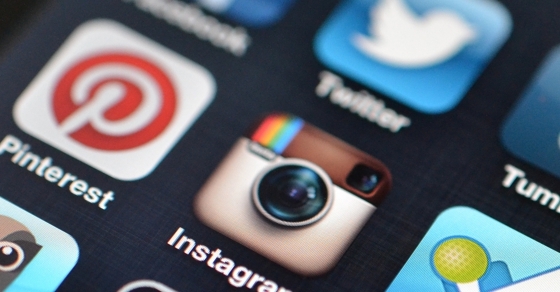 If you take the time now to record with which social media sites you have accounts and what you would like to happen after your death, your family will not have to guess after the fact, try to remember where you had accounts a year later, or try to figure out what you would have wanted. They will see your instructions and know what to do. 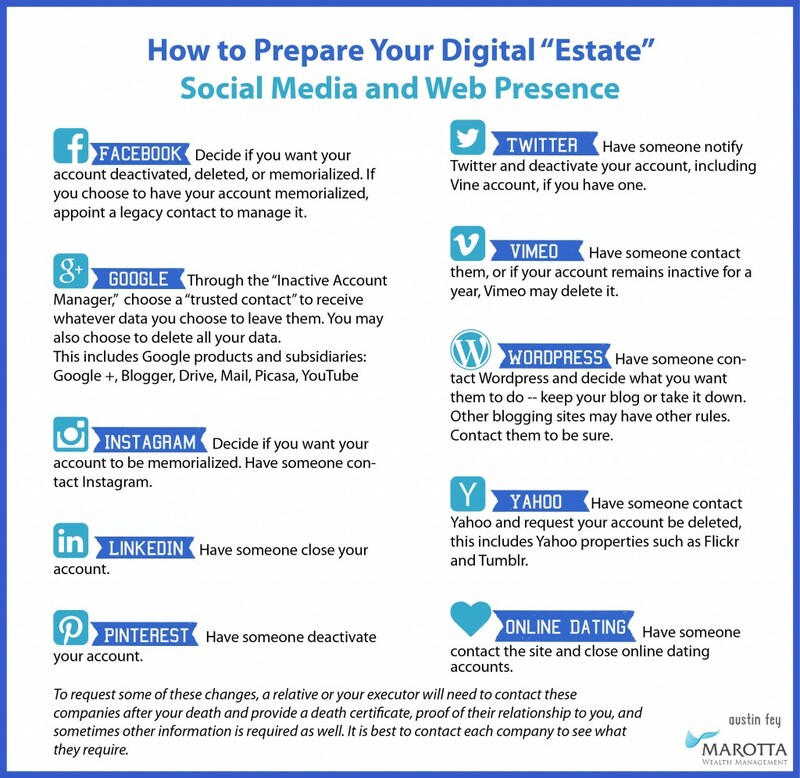 For more on getting your estate in order, see my articles on a power of attorney and medical directives, organizing your physical assets, choosing an executor, and organizing your digital presence.